Virtual reality (VR) is a fascinating way to travel, using nothing more than the power of technology. With VR glasses you can see a virtual space as if you were really there. And although it’s not a novelty, it’s amazing how far it has come in such a short time. In just a few years, immersion goggles have gone from being the dream of Kickstarter fever to being some of the most innovative and avant-garde devices of the moment. 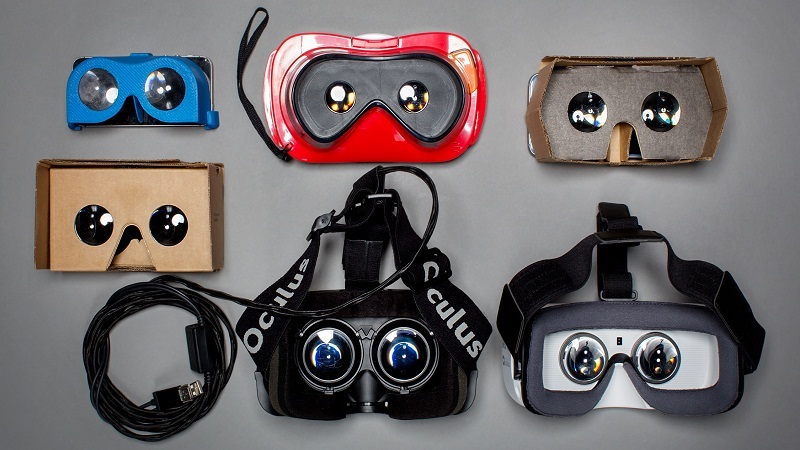 Almost all large companies offer virtual reality glasses (except Apple). And every year, these devices are getting better. 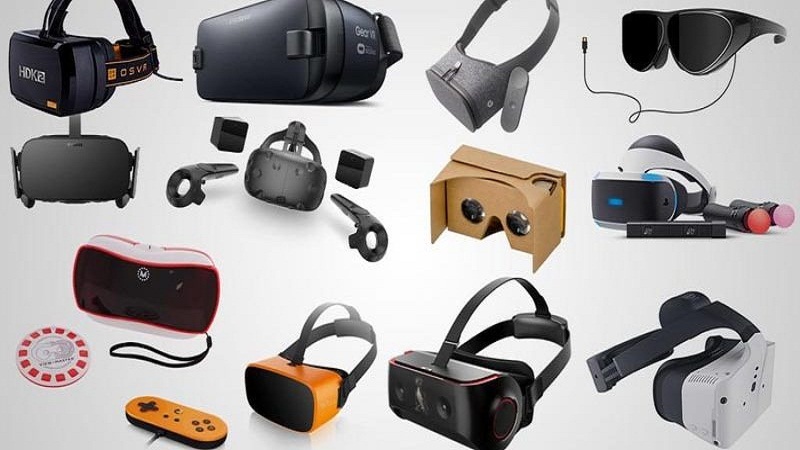 The market is full of new mobile devices, including the Samsung Gear VR and Google Daydream View, and this year has launched the second generation of HTC Vive, the HTC Vive Pro. The only problem with all this new technology is that it can be difficult to choose which one is the best on the market, a decision that becomes even more difficult when you have a tight budget. We tell you all its characteristics so that you only have to choose the one you like the most. The HTC Vives are the best in virtual reality glasses. It is a complete device that includes a pair of glasses, two controllers, and two base stations to define an RV area on a room scale. It is technically impressive, and you can move around a space of 4.5 x 4.5 meters, adding another dimension to the sensation of presence that you experience when using it; not only are you pressing a button, but you are using your legs to walk. It has an OLED screen with a resolution of 2160 x 1200 that provides a very clear image, and a refresh rate of 90 Hz. It has a precision tracking thanks to its 32 sensors, and a motion tracking of 360 degrees, so that every movement you make is captured in the device. Its impressive viewfinder offers a field of view of 110 degrees, enough to cover even peripheral vision. One of the best features of the HTC Vive is its two included drivers. Each of them has 24 sensors to achieve high precision and optimal movement tracking. The included software interface of Steam Store has more than 60 VR video games, which work perfectly with the included drivers. The disadvantage of Vive is its price. Despite having lowered the device, it is still expensive. In addition, VR systems connected to PCs such as Vive need a lot of energy. HTC recommends at least one Intel Core i5-4590 CPU and one GeForce GTX 970 GPU. The Oculus Rift was the first model of glasses that came out after the resurgence of the RV, and after several years of development, and some competitors making it difficult, the Oculus is still the most important model of the RV. From a technical point of view, the Oculus is almost identical to the Live. They have an OLED screen with a resolution of 2160 x 1200 and a refresh rate of 90 Hz. The unit provides a 110-degree field of view, with a tracking area of 1.5 x 3.3 meters. Inside the glasses, an audio system is integrated that offers users the experience of an inverted sound that provides space and depth. 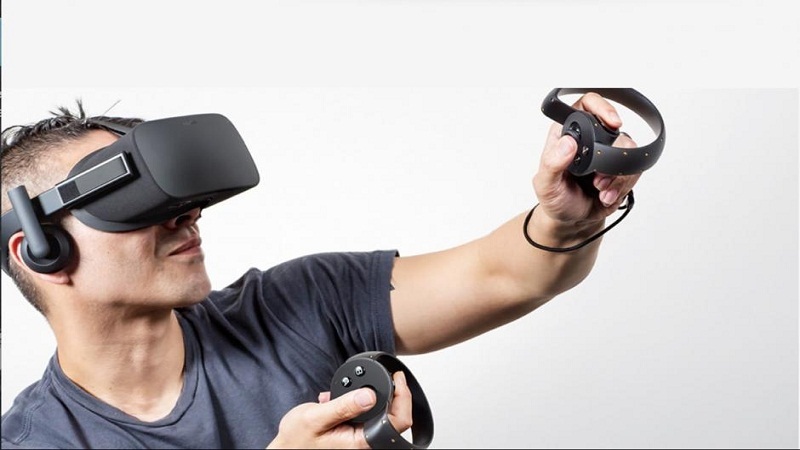 The glasses also include two Oculus Touch controllers to be able to interact with the virtual world. Although the device comes with its own independent remote control to be able to navigate the menus and control the volume as well. However, if we compare it with the HTC Vibe’s room-scale technology, the Oculus Rift is not as good. The reason is that while Vives are designed so that you can move in any direction, the Rift makes you default to placing your two sensors in front of you. This means that tracking is one-sided, and if you turn around, the sensors lose you. This can be fixed by adding a third sensor to the system, but it requires an additional outlay, so we think that the HTC Vive is much better. That said, being cheaper than Live, the Oculus Rift is a very good option if you want to enjoy your games in virtual reality. You can not ignore the fact that to use HTC Vive or Oculus Rift, you need a very powerful PC, which is a great investment for most people. This is not the case with Sony PlayStation VRs, which only require little more than a PS4 console to operate. And considering the huge power difference between the PS4 and the PC, the PlayStation VRs are surprisingly capable virtual reality glasses. Like the Rift, they use an OLED screen. The screen measures 5.7 inches and offers a resolution of 1920 x RGB x 1080, with a performance of up to 120 frames per second. For total immersion, the glasses feature 3D audio technology, which allows you to accurately listen and locate the sounds above, below and everything around you. The PlayStation VR offer approximately 100 degrees of field of vision. The device detects your movement with an accelerometer, a gyroscope, and the PlayStation Eye tracking system. Thanks to the support of Sony, the selection of PlayStation VR games is also impressive. There were dozens available at its launch, and many more have been coming out during its first year on sale. In addition, Sony has solved one of the most recurrent complaints of users, that its accessories are sold separately, launching several packages with devices such as the PlayStation Camera included. However, PlayStation Move controllers, although included in some packages, are not at all. Although it depends on the package you choose, the recent price reduction has provided the PlayStation VR are the best option to live the VR experience on the PS4. 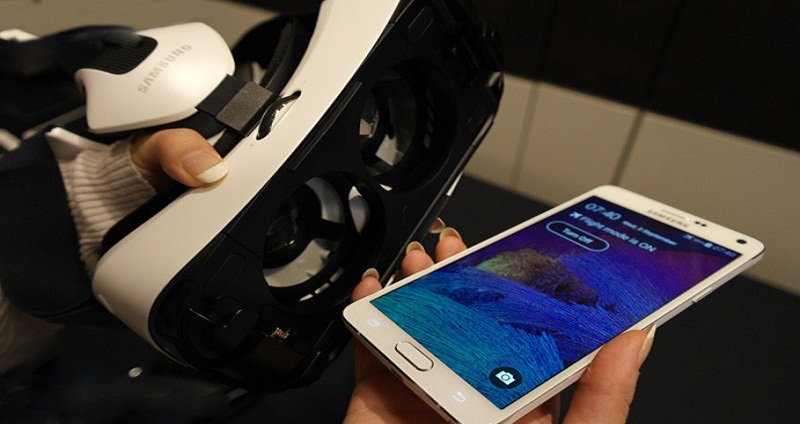 If you have a Samsung phone, the Gear VR glasses is one of the best Virtual reality equipment you can buy. To use the latest Gear VR, you need a compatible Samsung Galaxy smartphone (currently eight devices, from the Galaxy S6 to the S8). Compared to other smartphones, its design may look great, but its size is also an advantage. On the inside, you can adjust your optics with the dial mounted on the top, which gives you a more comfortable and sharp image. And it is quite breathable considering that it is well adjusted. The updated version includes a motion controller, which is a small remote control that easily attaches to the smartphone and adds new levels of interactivity. The glasses also have a USB-C port on the bottom to charge them. The interface has been updated and is more polished than ever. Although the need to use a Samsung smartphone for its operation reduces the number of potential users, the good news is that Samsung usually includes the Gear VR with its flagship phones, so if you are planning to buy a Galaxy S8, this accessory is essential to enjoy of the VR. Perhaps the most important thing of any VR system is its content library, and Samsung Gear has a wide variety of titles, still in expansion. 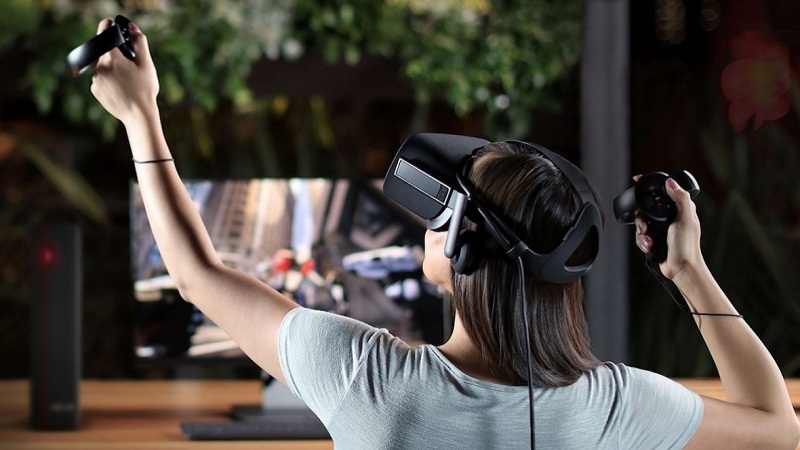 Thanks to Samsung’s association with Oculus, there are more than 600 titles in the Gear Virtual reality store, and more are arriving each month, so you’ll never get bored of immersing yourself in new experiences and games. The applications cover a wide variety of genres, including education, games, entertainment and social activities. The store has recently added a section for specific driver applications. Made of microfiber and available in various colors, Google’s Daydream View is unlike anything we’ve seen before. It is one of the most comfortable glasses available, thanks to its soft and breathable fabric. Its straps fit comfortably and securely over the glasses and you can even remove the upper strap to get a more customized setting configuration. The controller that accompanies it can even slide safely on the back of one of the straps, a simple and elegant solution to avoid losing it constantly between the cushions of the sofa. One of the biggest changes in the view is the field of vision extended (from 90 to 100 degrees ), which increases the immersion factor and puts it on a par with the Gear Virtual reality. As I mentioned, Daydream comes with a 3DoF controller and is compatible with most smartphones, but the quality of the RV will vary depending on the phone you are using. In terms of functionality, it does not disappoint. Immerse the user in an optimized experience through Google software on Android phones, although the experience will be much better if you are already a Pixel user. To increase the user base of the device, Google has expanded the catalog of compatible phones. Therefore, in addition to the Pixel and Pixel XL, you can use Daydream View with the Samsung Galaxy S8, S8 +, Note 8, Huawei Mate 9, ZTE Axon 7, LG V30, Motorola Moto Z, Z2, Asus ZenFone AR, and the Samsung Galaxy S9 and S9 +.